Many years ago I honeymooned in Marrakech, and on the first night we went to one of city's top restaurants. Their speciality was a nouvelle cuisine take on Moroccan street food - but as this was our first meal of the holiday, we'd yet to experience any. So it was an experience with a hole at it's core, like a clever jazz reworking of a tune you're not familiar with. Only as the week went on did we sample the fare that was the inspiration for their dishes - and we left wishing we had left that meal to last, when we now understood the riffs upon which their improvisations were based. I was worried that Lockhart might be same - a top end, New Orleans inspired London restaurant with great reviews; would our lack of experience with Creole cooking hamper our experience? Now, this is just our personal experience, not a serious review - I've put the reviews that inspired us to go at the end if you'd like to know more. 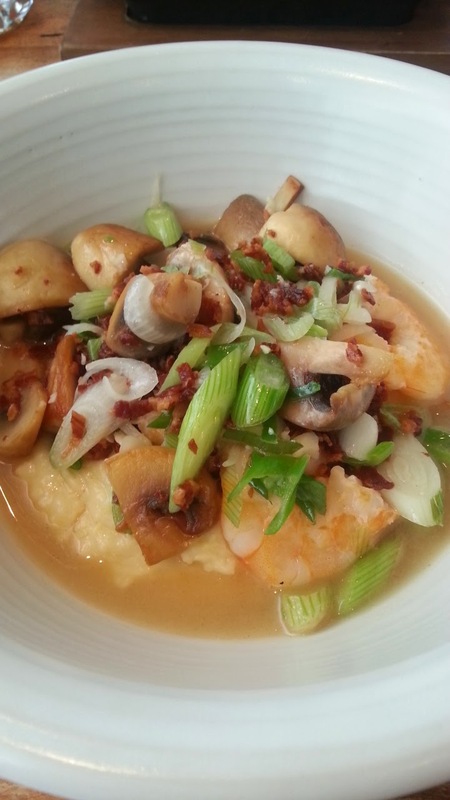 I thought that I would stick solidly Southern - catfish followed by shrimp-and-grits. The catfish was coated in crispy polenta and perfectly cooked, served with a tartar sauce surprisingly flavoured with mustard, and my wife had the intriguingly named 'chicken oysters' - again with a mustard sauce. Both quite delicious - although served in smaller portions than we'll ever see in the US (not a criticism - more just voicing my worries about how much weight we'll put on this year). I will have to admit I was nervous about the grits. Grits are one of those quintessential American foods that you don't ever see in England - unlike the burger or the hot dog, it's stayed firmly on US soil. I'd catch references ("kiss my grits!") without knowing what it was - and the name doesn't conjure up wholly positive images. My first taste was in Lamberts in Austin (oh, the breakast buffet ...), where it could best be described as savoury porridge with just a little too much pepper. I wasn't convinced. Nor was I entirely sure about the grits at the otherwise delicious Cafe Anchua in Vicksburg, where yet again it was just that little too close to porridge for my English tastes. Now, there's nothing wrong with porridge, in my book, but it's a breakfast dish, best served with cream and sugar, not salt and pepper. The grits at Lockhart, however, were sublime. Intensely cheesy, it reminded me much more of a good polenta (and I guess, deep down, they're closely related), with a delicate lemony broth, plus little bits of bacon and spring onion (and shrimps too, of course), it was astonishing, revelationary. I see grits in a whole new light now. I can't fault the rest of the meal either - the fresh corn bread was superb (if possibly a little sweet for my tastes, although that didn't stop me eating it). 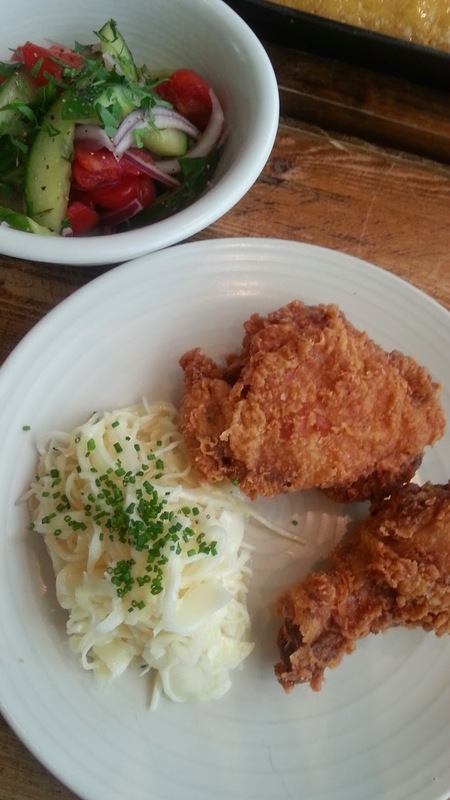 My wife loved her fried chicken (although it didn't come with a song - more on that later!). 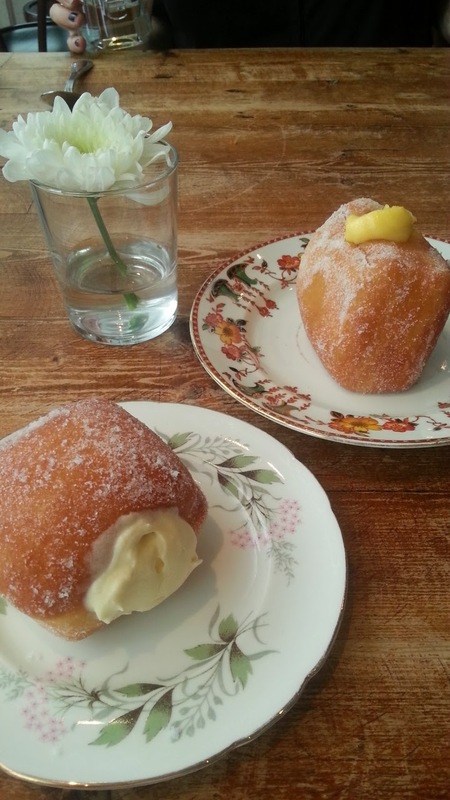 And, because it was national doughnut day, we had two surprisingly light little balls of deep-fried loveliness - one elderflower, one lemon curd. All in all, an outstanding meal, and one that gets me salivating for the treats to come this year in the US. However, my only worry is that we've already had our best New Orleans meal, and we haven't even got there yet.